Panic! At The Disco's new single, 'The Ballad Of Mona Lisa', scheduled to be released later this month, has been described by radio DJ, Wendy Rollins as "sounding a whole lot like the first album". 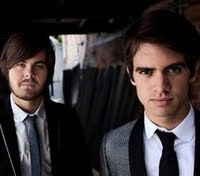 The song is taken from the band's forthcoming album, 'Vices and Virtues', which is released March 8th.